Welcome to Hub City Blues! Welcome to Hub City Blues, a character database I am creating for the 30 Character Challenge. This contest is designed to foster creativity in artists and writers to create new character designs. The mission: Create a new character every day in the month of November. Creating compelling characters is a part of either medium, so it’s a skill well worth developing. I am not an artist, I am a writer. Since this contest was originally for artists trying to experiment with different styles, it works a little bit different for writers. The contest is to challenge writers to create characters with compelling backgrounds that would make people want to read about them. Not as visually satisfying as art, so I suspect it is more challenging to maintain the attention of readers (especially if they are really looking for art). To help readers (and myself), I sometimes find artwork and create characters inspired by that artwork. It doesn’t mean I could not have done it without the art, its more that the art connects with something in my head and my character makes sense to me. Sometimes the art’s background may inspire an idea or theme that may permeate the work. Unless I commission a piece, it is rare that the work being paid homage to has any knowledge this is happening. So in respect for each work, I will be pointing back to the source of the art and the name of the artist if it can be found. I will give credit and links to artists who have inspired my creativity. Since I am a working writer, most of these characters will be coming from works in progress, stories I am about to be publishing or novellas whose future is not in doubt. It is likely that each profile will be of different density depending on the depth of the work, and the amount of development I have done with the character in question. I may also make links to stories if they are already in play online somewhere so you can see how they were used. The website’s name comes from a series of short stories centered in a place called Hub City, a city of the future, whose promising beginnings have been overrun and become instead, a hive of tech-saavy scum and villainy. Hub City’s police force, locally called the Hub City Blues, have done their best to control this recent invasion of organized crime, but is unable to stem the tide. A year ago, Hub City was under siege by a new monster seeking to establish order; his order. By any means necessary. His name is Hyde. Universally feared, he is death incarnate. Criminals fear him, the police despise him and no one knows who is is or what he wants. All they know is, if you are a criminal and he finds you, you better hope you find a cop first. Otherwise, you’re dead. 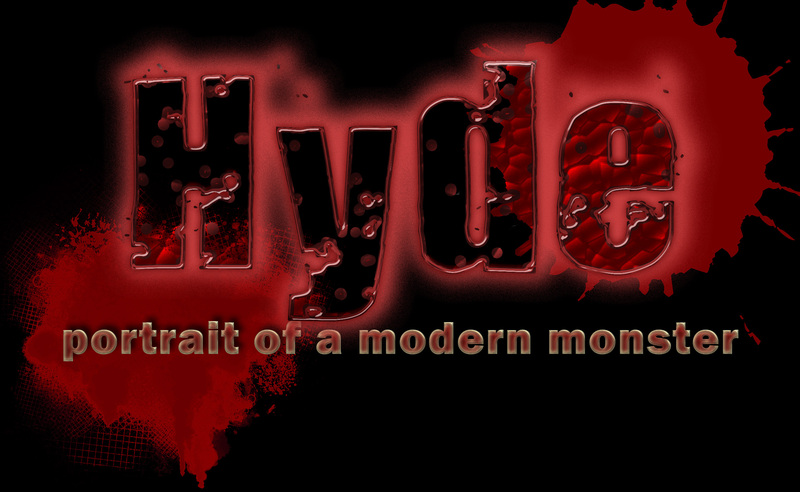 Hyde, Portrait of a Modern Monster. Welcome to Hub City. Obey the laws and enjoy your trip. I’m going to be following this closely as I truly admire this kind of world-building, not having the patience for it myself. I’m always impressed by writers who do this sort of stuff, constructing entire worlds, mythologies and entire family trees from the ground up.